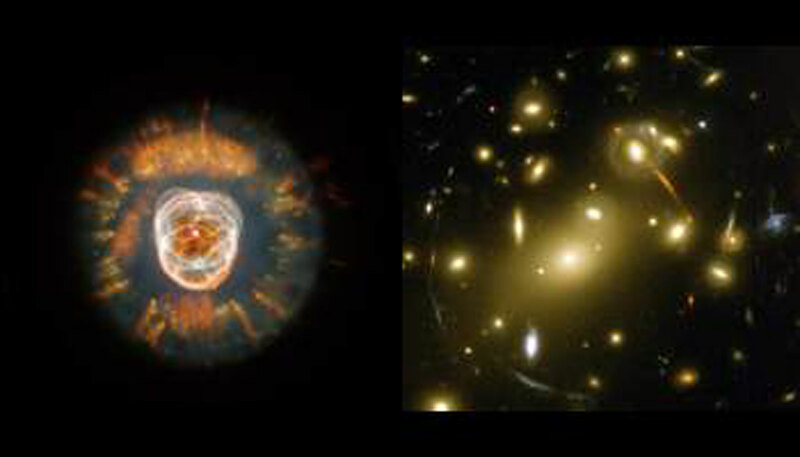 The NASA/ESA Hubble Space Telescope is back in business, as made dramatically evident in stunning new celestial pictures of remote galaxies and a colourful dying star released today. The images were taken 10 to 13 January 2000 as part of the recommissioning activities for the earth-orbiting telescope. The pictures are a culmination of the successful Space Shuttle servicing mission (STS-103) last December, which restored the NASA/ESA premier optical space observatory to full capability, beefed-up with new electronics and critically needed replacement gyroscopes. 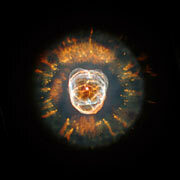 Hubble has now resumed probing the Universe's many mysteries with a crystal-clear view. 'After a two-month hiatus, it is a tremendous boost to all of astronomy to see Hubble back in action. NASA has restored the observatory to a condition that was better than it was even before the fourth gyroscope died,' says Steven Beckwith, Director of the Space Telescope Science Institute, the Hubble science operations centre in Baltimore, Md., USA. 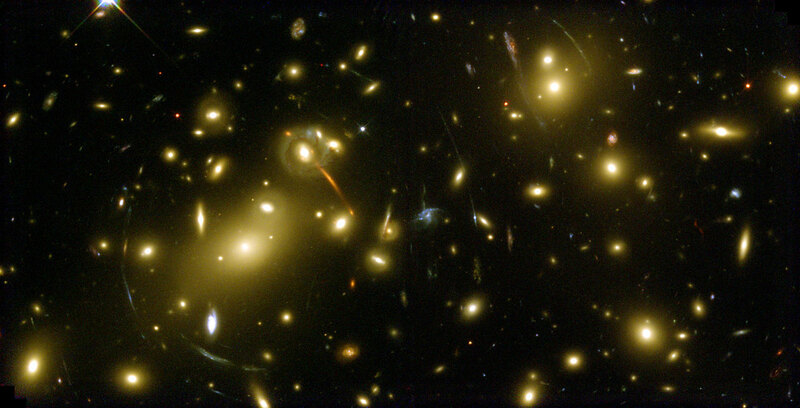 A second target is a massive cluster of galaxies called Abell 2218, which acts like a giant zoom lens in space. 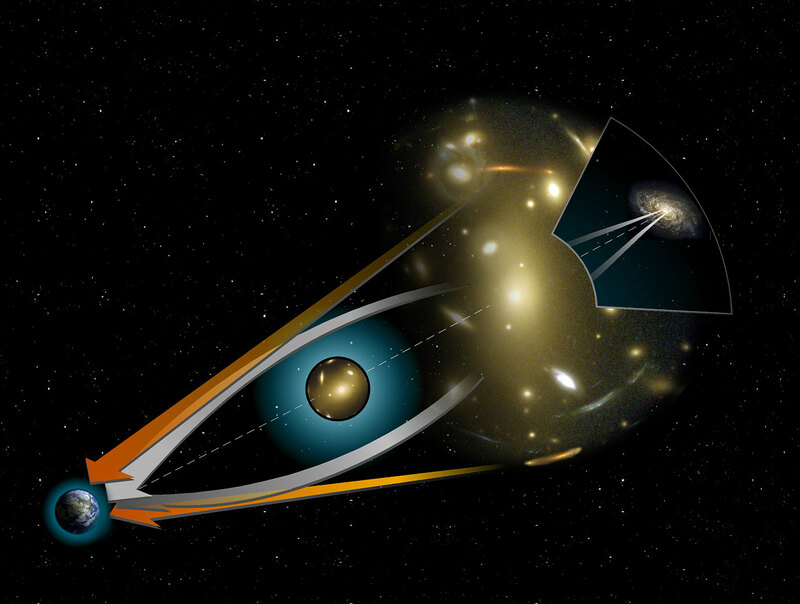 The gravitational field of the cluster magnifies the light of more distant galaxies far behind it, providing a deep probe of the very distant universe. The cluster was imaged in full colour, providing astronomers with a spectacular and unique new view of the early universe. Andrew Fruchter, leader of the team who took the early release observations, is particularly fascinated by an unusual red feature in the field. 'This extraordinary object has colours which indicate it is one of two things, either a rare extremely cool dwarf star in our own galaxy, or one of the most distant objects ever viewed by Hubble lensed into visibility by the mass of the cluster', says Fruchter. Further observations will be needed to confirm the identity of this unusual object. Spacecraft operators report that all the new equipment installed on the telescope in December is working perfectly including the new computer, solid state recorder, and fine guidance sensor. In particular the new gyroscopes are allowing Hubble to reliably point with exquisite precision at celestial objects. Two key science instruments, the Wide Field and Planetary Camera 2 and the Space Telescope Imaging Spectrograph are now being used for routine science observations by astronomers worldwide to probe everything from planets, to black holes, to far flung galaxies. The processing of the data was carried out by a small team in Baltimore which included one of the Space Telescope European Coordinating Facility (ST-ECF) staff and used software developed in collaboration between STScI and the ST-ECF.